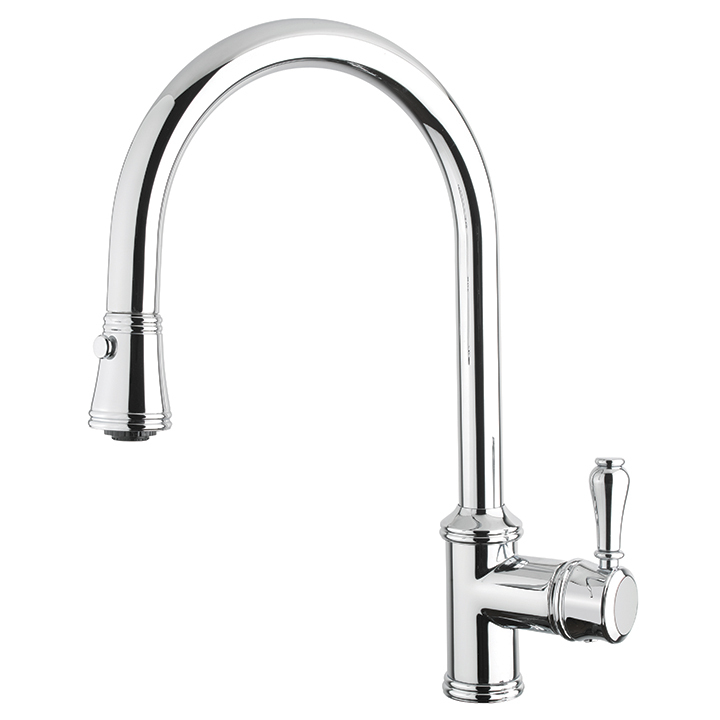 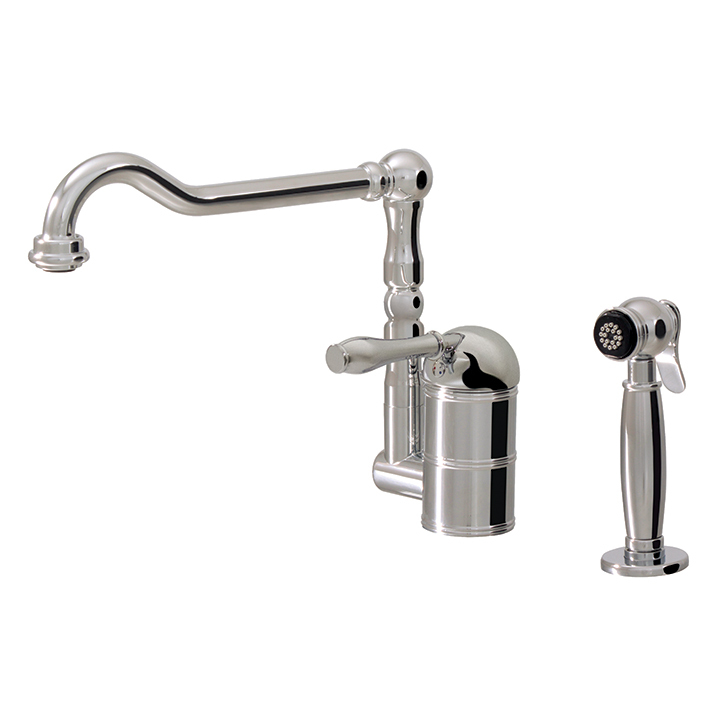 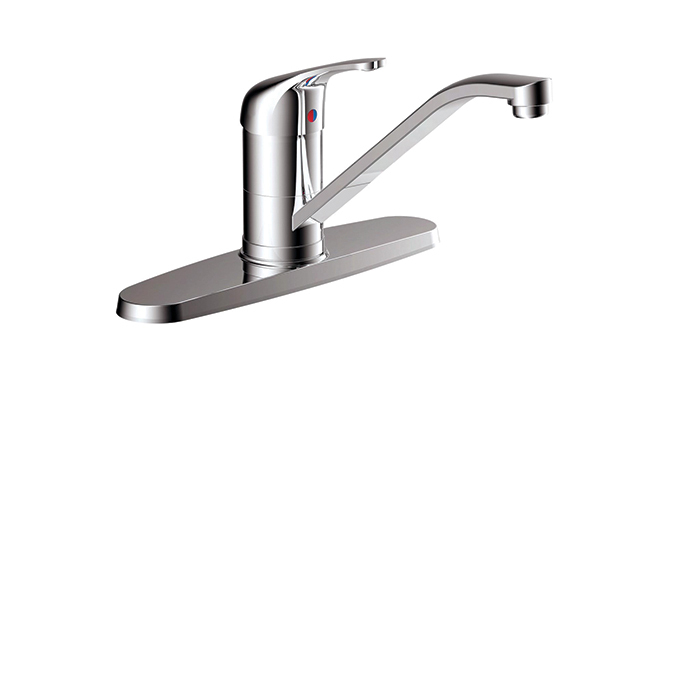 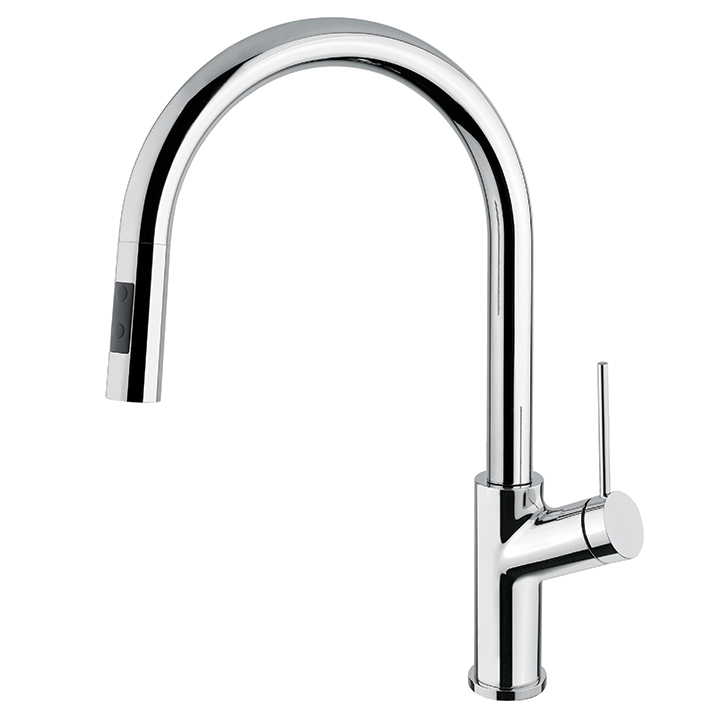 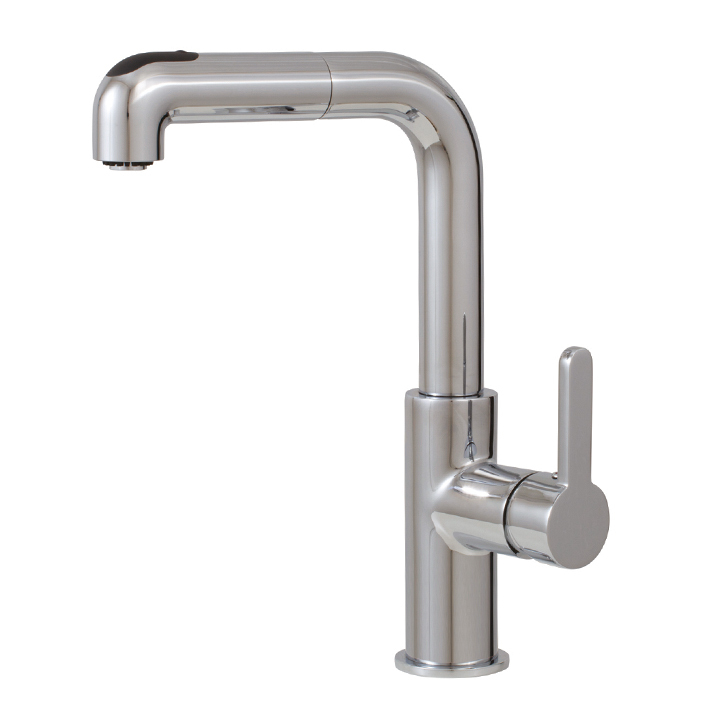 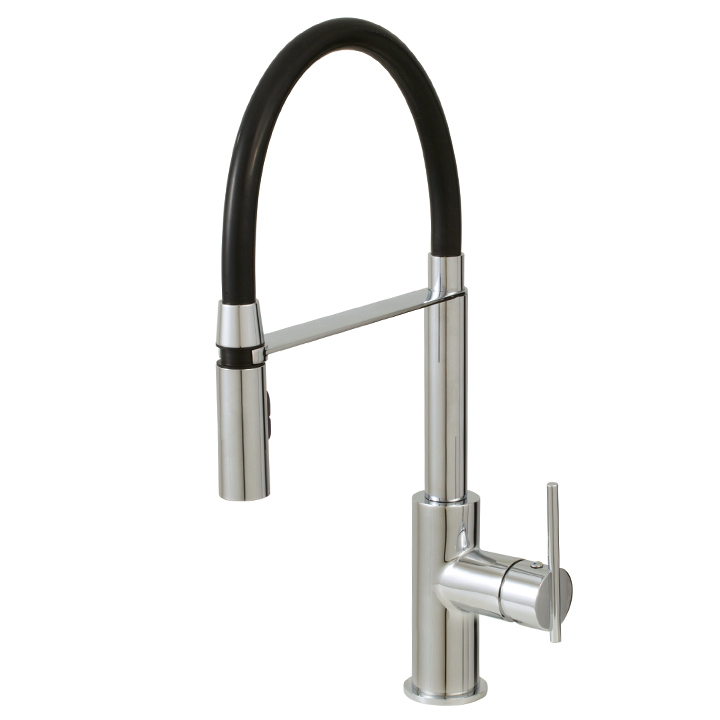 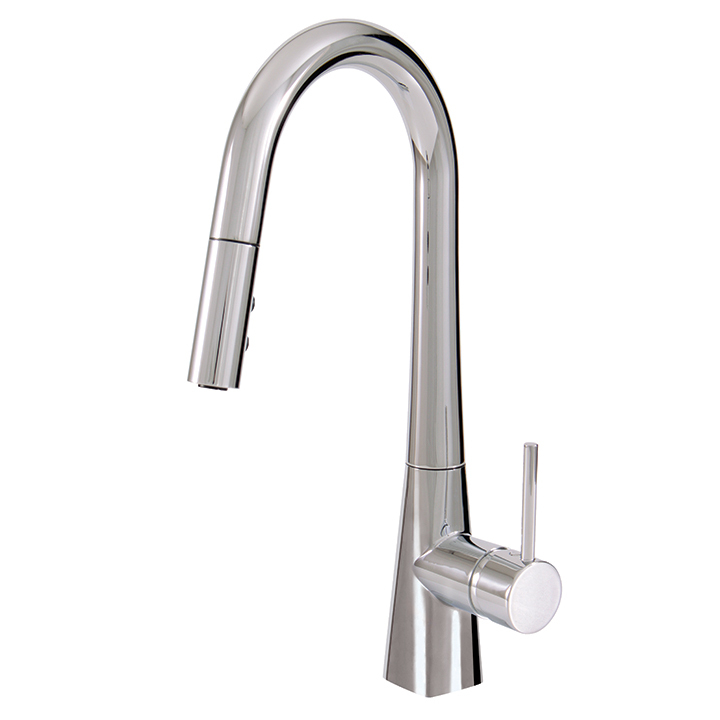 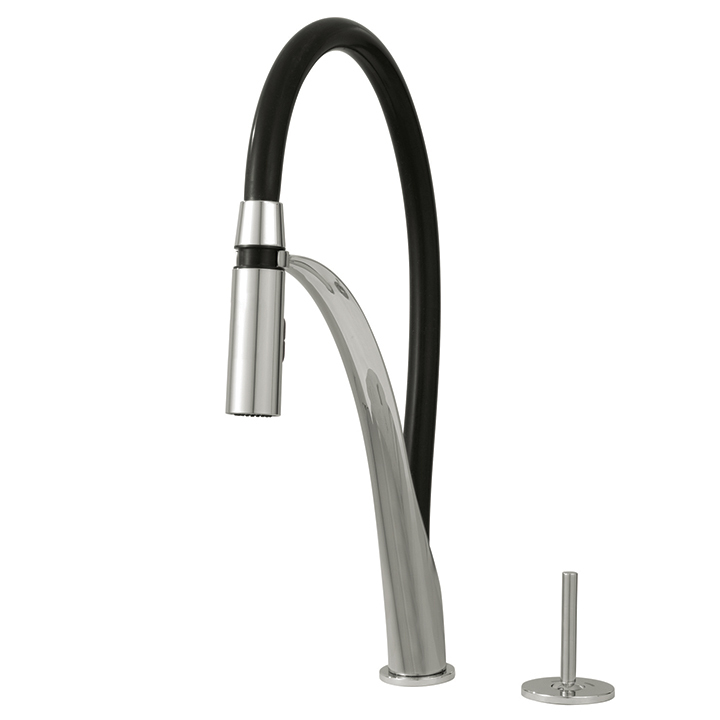 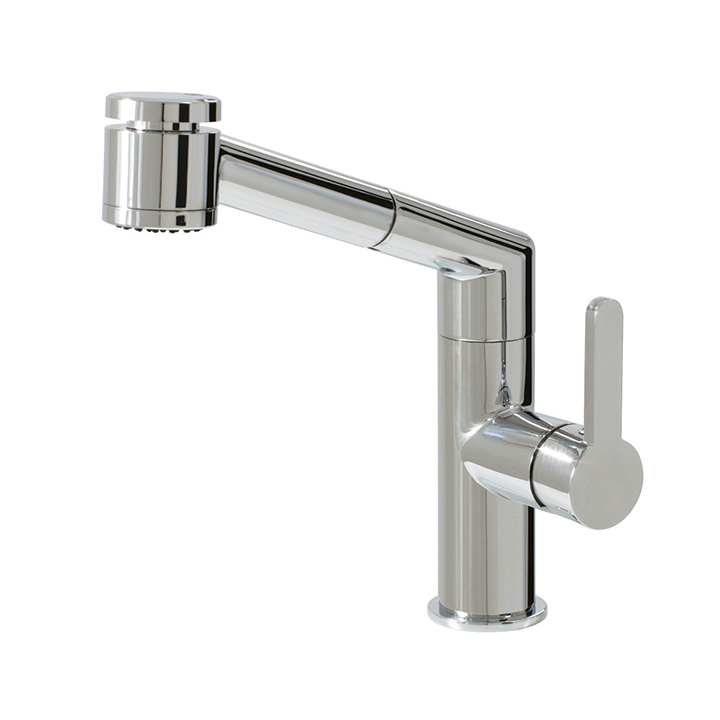 Waterstone #4400 Kitchen Faucet: Traditional single hole gantry faucet with single lever. 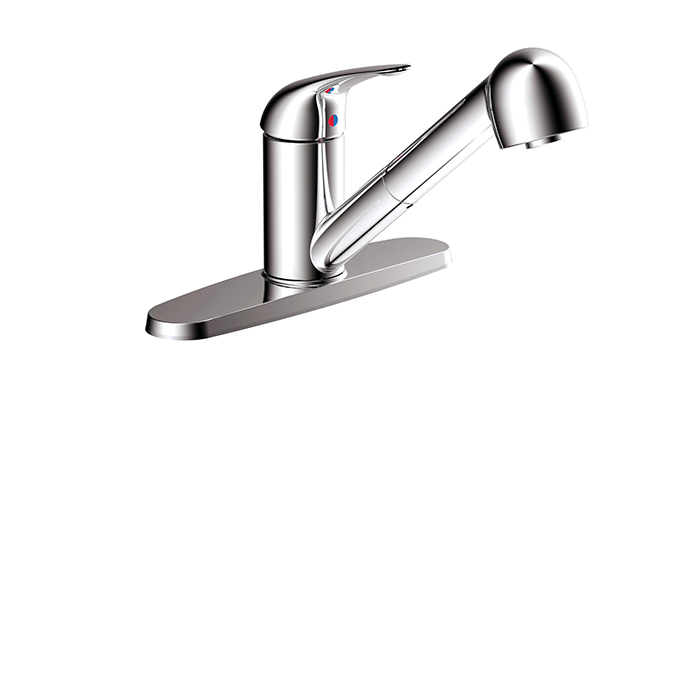 Pivoting arm with pulley lever and dual spray function. 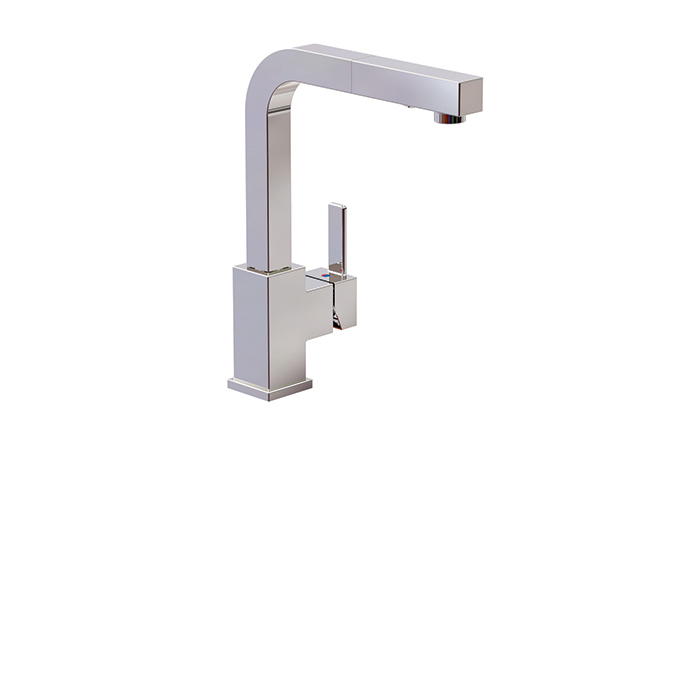 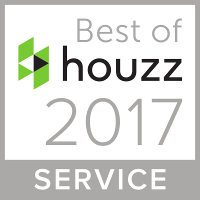 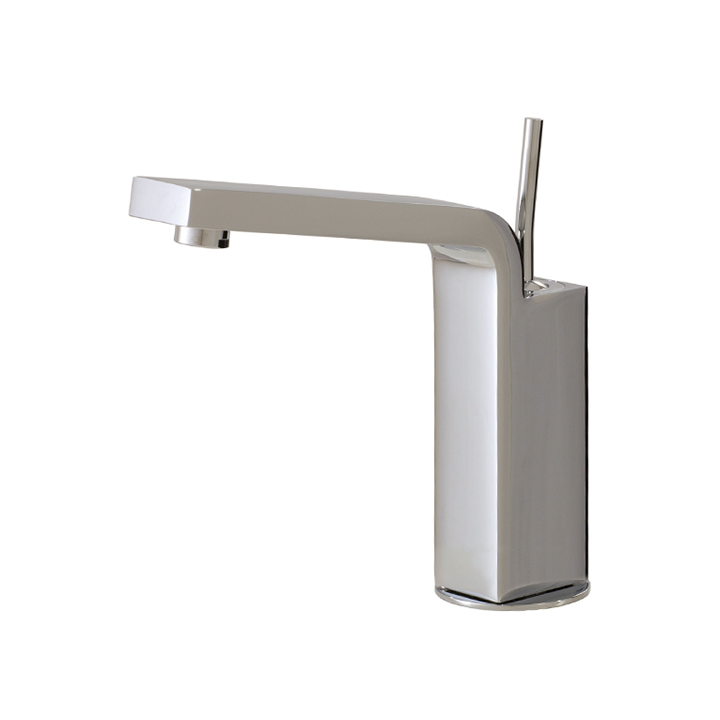 Available in chrome, brushed nickel or a variety of custom finishes.